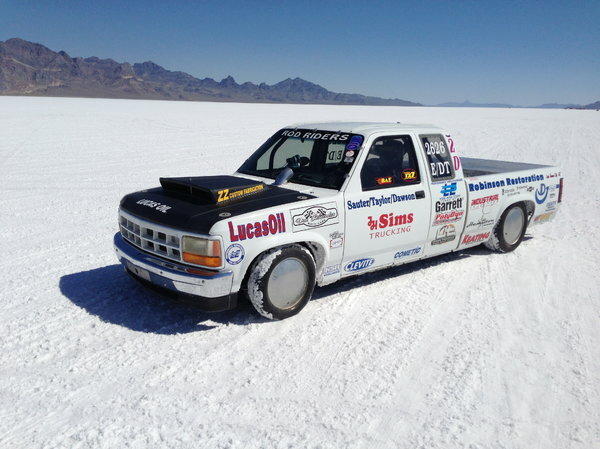 Race Truck, Current Bonneville C/P/MP record holder @ 205.287 MPH on Gas and E/DP record holder @ 154.301 on Diesel and El Mirage C/P/MP record holder @184.839 MPH on gas and E/DP @146.736 on Diesel. 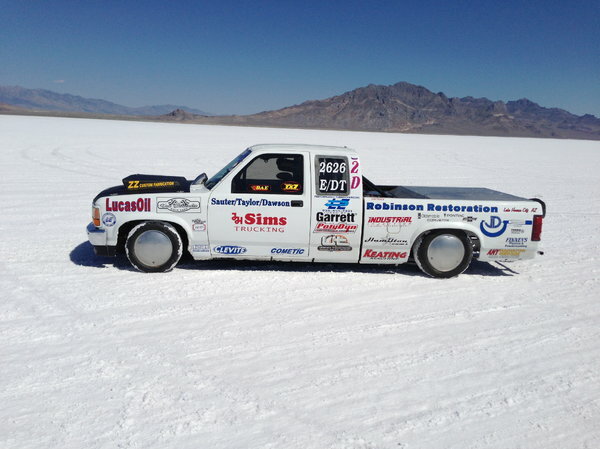 Truck has put 3 drivers in the Bonneville 200 MPH Club. top speed to date is 205 MPH. 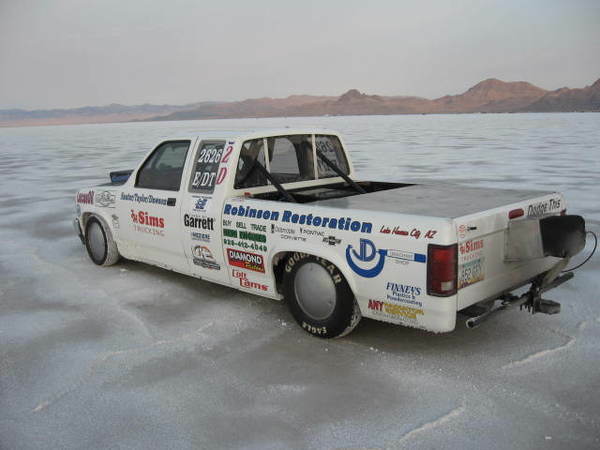 Complete ready to race diesel power 1996 Dodge Dakota extended cab. Cummins 4BT turbocharged diesel, engine is fresh with only three warmup runs on engine. Chrysler 47RH transmission, Lock-Up converter, 9” Ford Rear End. 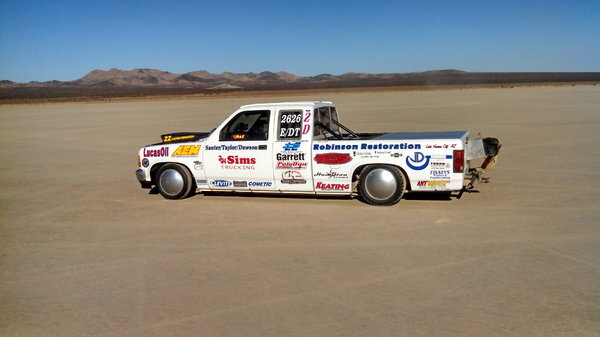 Truck can run in any of the Mid-Mini Truck Classes.